The World Lagomorph Society (WLS) is an association, which intends to intensify the communication between persons who are interested in the research, management and conservation of lagomorphs (rabbits, hares and pikas). The main purpose of the association is to promote the cooperation between lagomorph researchers and to spread the existent information, in order to improve the knowledge in this group. The WLS also aims to support the study on lagomorph species, in particular those under special conservation status, by helping funds for specific projects and by scientific support. 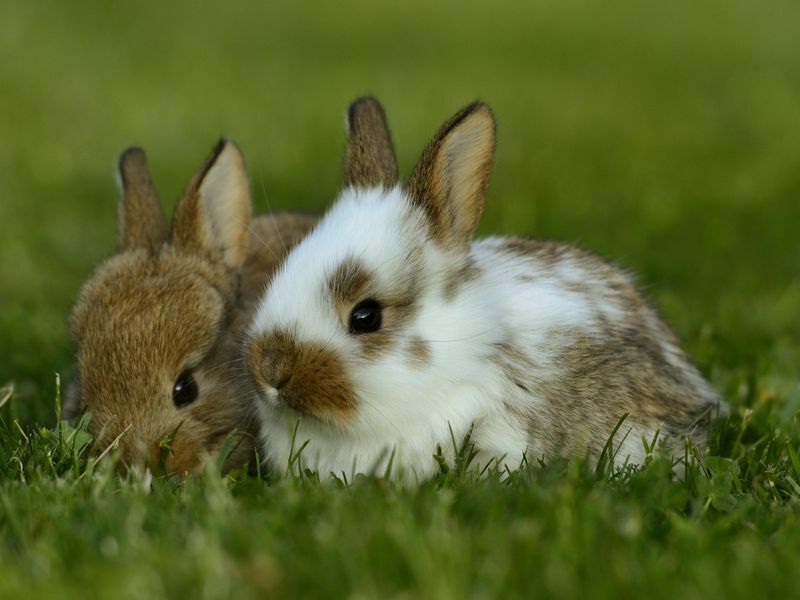 As some lagomorphs have an important economic value, either as game or as pest species, a special attention will be drawn on these species, namely by promoting the exchange of technical reports. Finally, WLS will promote the World Lagomorph Conference, each 4 years, and support complementary regional symposium in specific subjects. WLS also aims to get funds to support the attendance of students in conferences. Over the last couple of years the IUCN Lagomorph Specialist Group has been re-assessing the Red List status of all Lagomorphs. All Red List accounts can be found by searching the Red List webpage. Klaus Tamm, German citizen living in Wuppertal, has been observing and photographing nature for many years , and he is noticing how biodiversity in our environment is increasingly declining. This led him to establish Aufwind gGmbH, a non-profit nature conservation organisation. The aim of this foundation is to promote nature conservation by supporting both regional and international initiatives with the proceeds from the sale his photographs. Klaus Tamm supports conservation research on the broom hare Lepus castroviejoi, a species in decline and with an IUCN Red List Status of Vulnerable. WLS is grateful for this generous support and will report on the project in due course and at the 6th World Lagomorph Conference! Save the date - We are pleased to announce that the 6th World Lagomorph Conference will be held from July 6-10 2020 in Montpellier, France. A recent study on the endangered hispid hare (Caprolagus hispidus) has been published. The Hispid hare has only been sighted in a few isolated pockets in the tropical grassland ecosystems of southern Asia. Knowledge of the current status and distribution of the species is limited. 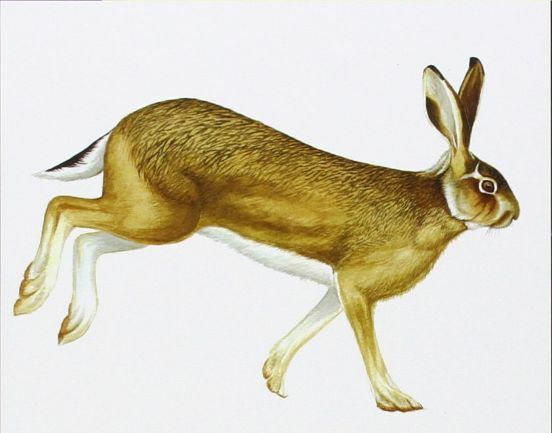 Historical samples, anecdotal sources, and sign surveys have suggested that the hispid hare could occur along the southern foothills of Bhutan. This is the first study to systematically assess its presence in the region. To optimize the detection of this elusive animal, camera traps were set up in the Royal Manas National Park (RMNP), Bhutan, spread over three different grassland areas. 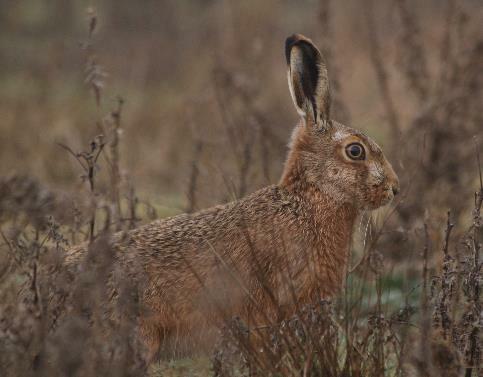 To maximize the probability of capturing images of the hispid hare, camera traps were randomly placed in batches in three different grassland areas chosen based on the preliminary sign survey. 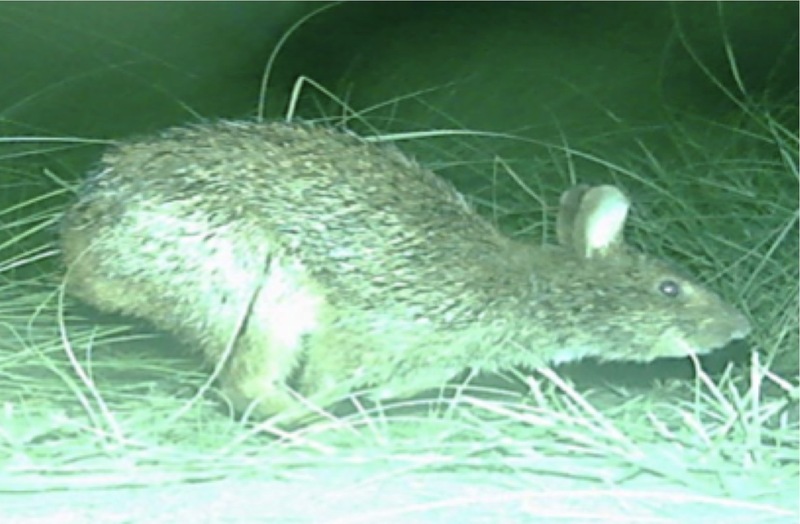 Over the survey period from March through May of 2015, 11 images of hispid hare were captured from a single camera trap station, confirming the present of this species in the Royal Manas National Park. 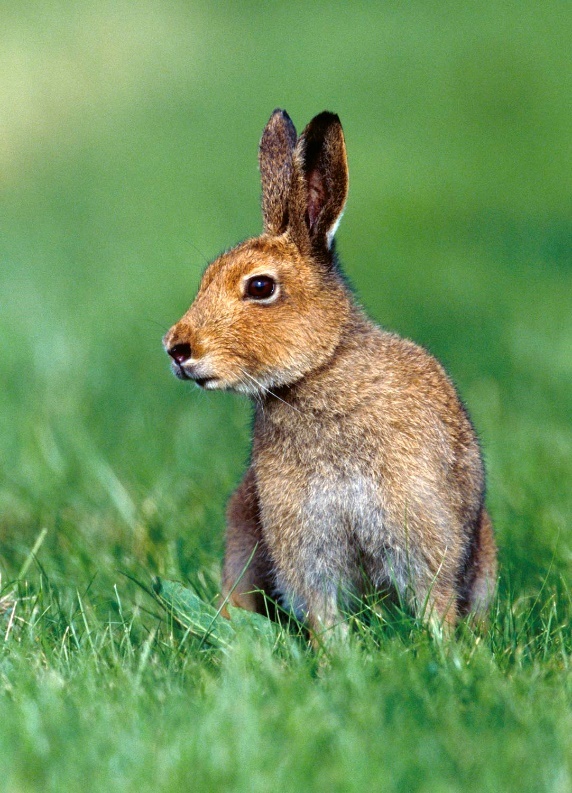 Do you have information concerning the current status and distribution of African Hare species? As part of a master thesis of the University of Natural Resources and Life Sciences, Vienna (master’s program Wildlife Ecology and Wildlife Management) the current knowledge and data concerning the distribution of African Hare species with emphasis on the genus Lepus is reviewed. in the United States. Please distribute this Bulletin to your respective agency staff and local partners as appropriate. Andrew Tilker is a doctoral student at the Leibniz Institute for Zoo and Wildlife Research and an Associate Conservation Scientist at Global Wildlife Conservation. He has worked for the past six years in Vietnam and Laos, with an emphasis on threatened Annamite endemic species, namely on Annamite striped rabbit. You can find more information on this work in the following paper, that is associate with this news. Tilker, A. 2018. 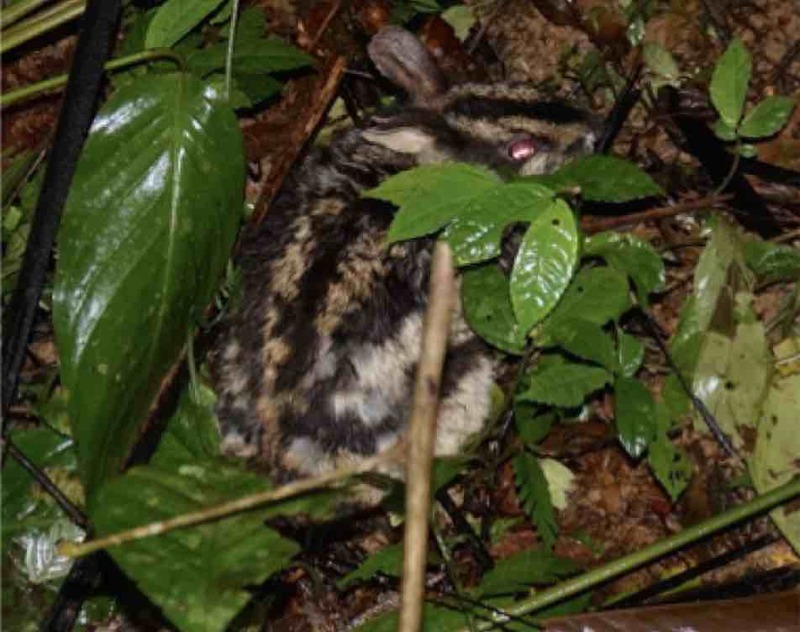 Fading stripes in Southeast Asia: Saving the elusive Annamite Stripped Rabbit. Capeia 20181218.016. 30% Discount on "Lagormorphs" book! If you still didn't order, you can now order the new "Lagomorphs" book with 30% discount! 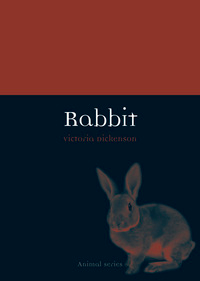 Just go to https://jhupbooks.press.jhu.edu/content/lagomorphs , apply the Code “HLMS” at checkout and enjoy your reading! Thank you, Johns Hopkins! The use of camera traps in Kerinci Seblat National Park was set up to monitor the tigers and its prey. 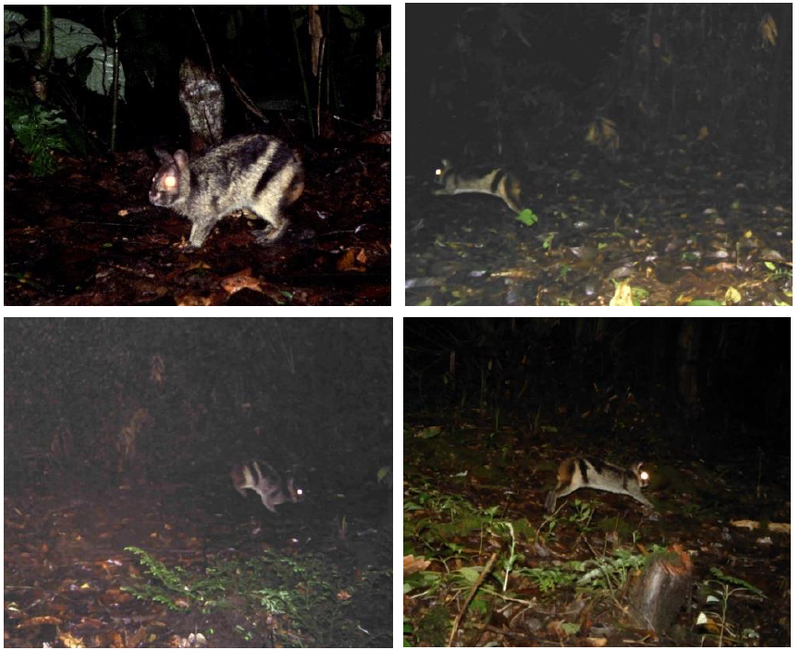 Nonetheless, the presence of other animals, such as the rare Sumatran striped rabbit, was also noticed. As information for the future, Irene M. R. Pinondang and Wido R. Albertwe shared their unpublished findings on this rare species with yearly monitoring data and the survey effort to photograph the rabbit. The new lagomorphologist's bible will be released soon!! "Lagomorphs - Pikas, Rabbits, and Hares of the World" (edited by Andrew T. Smith, Charlotte H. Johnston, Paulo C. Alves, and Klaus Hackländer) will be released next January, but you can pre-order it! Thematic introductory chapters cover a broad spectrum of information about pikas, rabbits, and hares, from evolution, systematics, and diseases to lagomorph conservation status and management. Each animal account begins with the complete scientific and common names for each species. A description of the appearance and unique morphological characteristics is accompanied by a range of standard measurements of adult specimens. Subsequent sections discuss known paleontological data concerning the species, the current state of its taxonomy and geographic variation, and various aspects of the animal’s biology. 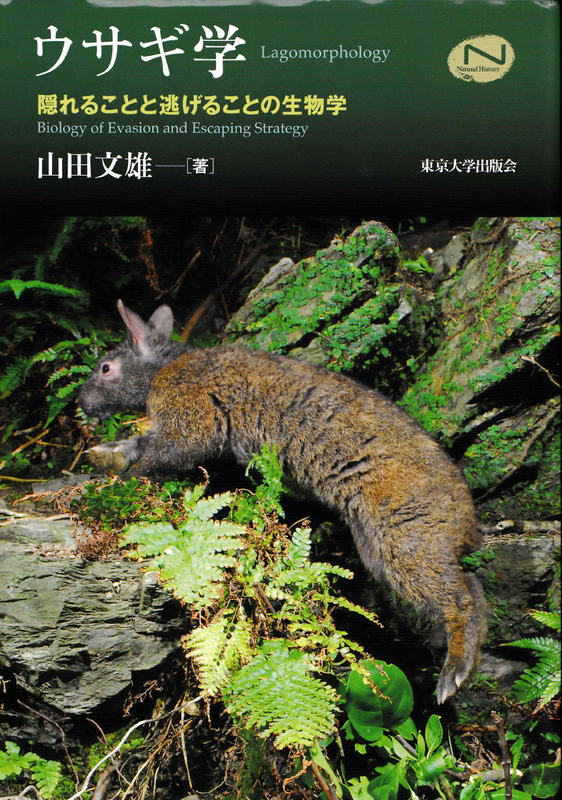 New release book "Lagomorphology: Biology of Evasion and Escaping Strategy" by Dr. Fumio Yamada. This book was released last month in Japanese and is written for biologists, students, media, administrative officers, people of high interest, and others in Japan. It includes different species as Lepus brachyurous, Pentalagus furness and invasive Oryctolagus, as well as outline of biology of lagomorphs in general. Lagomorph Workshop at the next IUGB Conference! we are glad to invite you to the 33rd IUGB congress, to be held from the 22nd to the 25th August 2017 in Montpellier, France. WLS will organize a workshop on lagomorph management. We kindly invite you to submit an abstract to present your last research works. Don't miss the December 31st deadline! For more information, please visit our website at http://iugb2017.com. Nishma Dahal (India) and Narayan Koju (Nepal) were supported by WLS to participate in the 5th World Lagomorph Conference this year. Both are conducting outstanding lagomorph research. Their projects are presented here. 5th World Lagomorph Conferene - a great success! 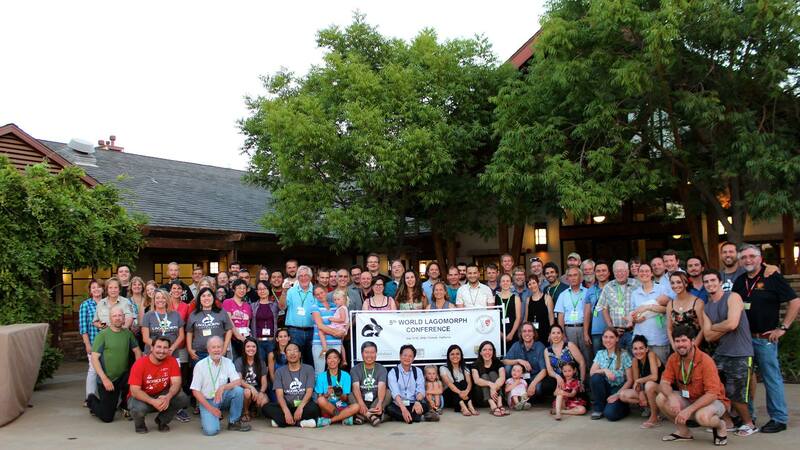 This summer, the 5th World Lagomorph Conference took place in California, USA. 68 participants from 23 countries presented and discussed the recent findings in lagomorph research and management. The World Lagomorph Conferences, organized every four years on behalf of the World Lagomorph Society, are the main event for lagomorph researchers around the globe. This year, the scientists met on invitation by Patrick Kelly (California State University Stanislaus) and Andrew Smith (Arizona State University) in Turlock, California, USA. General sessions on "Lagomorphs and Climate Change", "Ecology, Behavior, Management, and Conservation", "Evolution", "Morphology and Physiology", and "Diseases" attracted 68 participants from 23 countries. The hosts provided a perfect event including an outstanding social programme. During the conference, the World Lagomorph Society held a General Assembly, at which a new board was elected. Our French colleagues Heiko Rödl, Jerôme Letty, and Jean-Sebastian Guitton invited the WLS members to participate in the 6th World Lagomorph Conference in France! Merci! 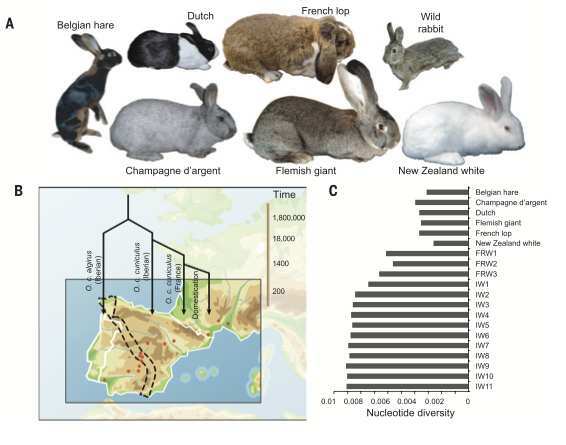 A recent perspective paper, published in the J. of Heredity, highlights the global importance of lagomorphs, and describe the initiative LaGomiCs, Lagomorph Genomics Consortium. LaGomiCs aims to provide an international framework for the sequencing of the genome of all extant and selected extinct lagomorphs. Sequencing the genomes of an entire order will provide a large amount of information to address biological problems not only related to lagomorphs but also to all mammals. At present, only the genomes of 2 species, the European rabbit (Oryctolagus cuniculus) and American pika (Ochotona princeps) have been sequenced, assembled and are currently available. But several ongoing genomic projects are addressing several other species, namely on Lepus. 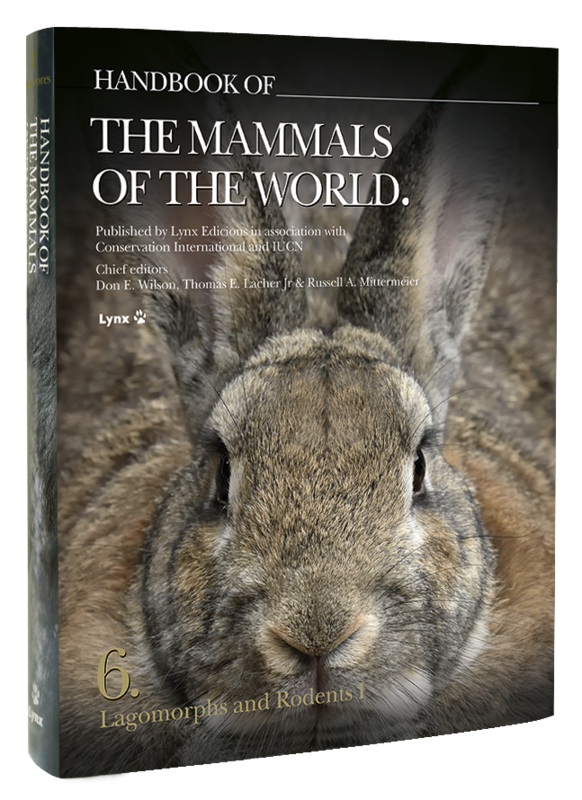 Lagomorphs and Rodents I, the 6th volume of the Handbook of the Mammals of the World series, will soon be published by Lynx Edicions in association with Conservation International and IUCN. Now in the final stages of production, the volume will be available in late July. You can take advantage of the 20% pre-publication discount offer by ordering before July 31st at http://www.lynxeds.com/hmw/handbook-mammals-world-volume-6. To benefit from future discounts please add the code WLS to the "Comments" section. This volume includes the order Lagomorpha, plus all rodent familiex except suborder Myomorpha (to be treated in Volume 7). Each species is presented with a detailed text, one or more color illustrations and a distribution map. The family chapters offer a broader view of the different groups and include an impressive collection of color photographs that document the morphological aspects and behaviors of these fascinating creatures. 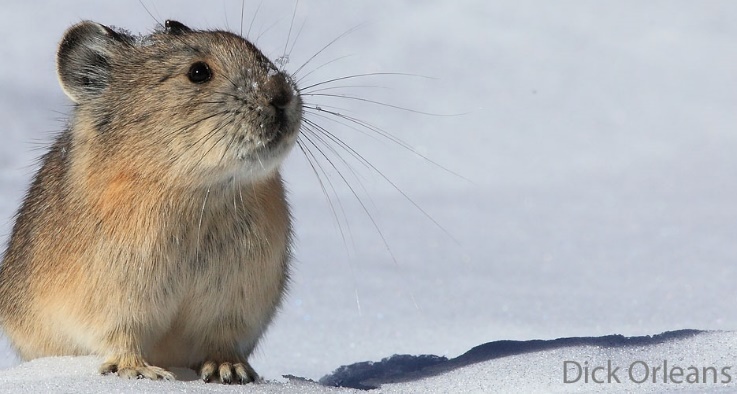 Note that Andrew Smith, Charlotte Johnston, Paulo C. Alves and Klaus Hackländer are currently editing the book Lagomorphs: The Pikas, Rabbits, and Hares of the World, published by John Hopkins University Press this year. This book gives an update on current challenges in lagomorph research and conservation, including taxonomy, diseases, climate change, etc.. In addition, it will present all lagomorph species with detailed chapters. Hence, 2016 is THE Lagomorph Year with two outstanding books and the 5th World Lagomorph Conferenc in Turlock, CA, USA. 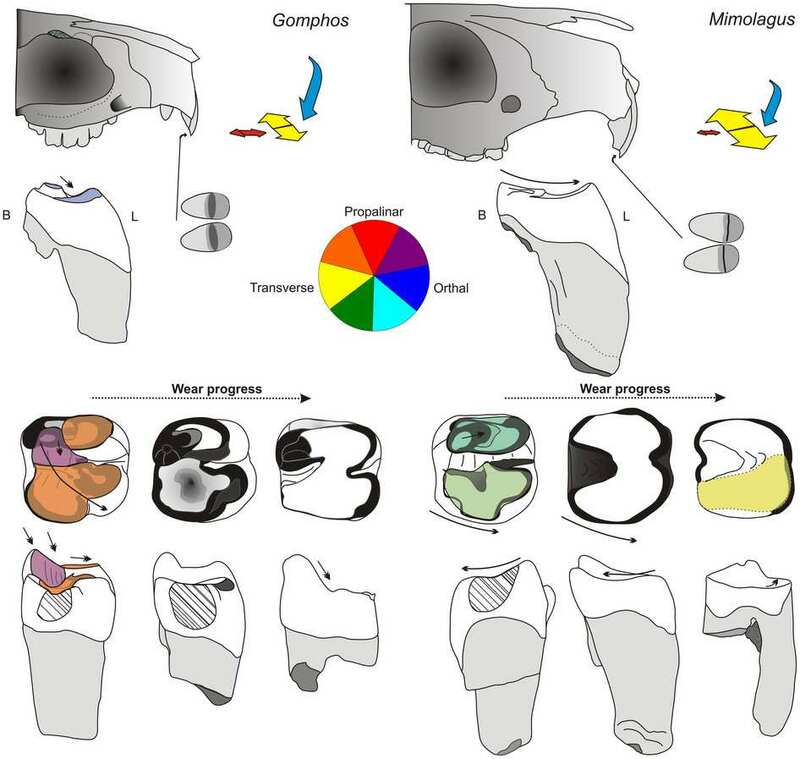 An interesiting paper was published recentely in Scientific Reports by Fostowicz-Frelik and co-authors (2015), sheding lights on the evolution of the Lagomoprps. 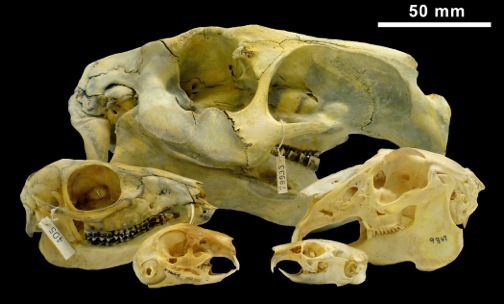 According to these authors, Mimotonids share their closest affinity with lagomorphs and were a rare and endemic faunal element of Paleogene mammal assemblages of central Asia. This work describe a new species, Mimolagus aurorae from the Middle Eocene of Nei Mongol (China), that's belongs to one of the most enigmatic genera of fossil Glires, previously known only from the type and only specimen from the early Oligocene of Gansu (China). The new species is one of the largest known pre-Oligocene Glires. As regards duplicidentates, Mimolagus is comparable with the largest Neogene continental leporids, namely hares of the genus Lepus. The College of Science, the Department of Biological Sciences, and the Endangered Species Recovery Program (ESRP) are pleased to announce that the 5th World Lagomorph Conference (WLC5) will be hosted by CSU Stanislaus, July 11-15, 2016! The World Lagomorph Society is organizing a workshop on Lagomorph Biology, monday August 17th, first day of the European Congress of Mammalogy, ECM7, Stockholm. The main goal of this workshop is bringing together examples of challenges for lagomorphs due to changing environmental conditions. Lessons learned from various experiences in different regions will be discussed to work on management recommendations and ideas for future avenues of lagomorph research.This workshop will include general and lightening talks in the morning session and open discussion during the afternoon session (see program attach). Researchers from the Institute of Global Food Security (IGFS), Queen’s University Belfast have found that more than two-thirds of lagomorphs are threatened by climate change. It has been predicted that climate change will have major effects on the ecology and distribution of many animal species. 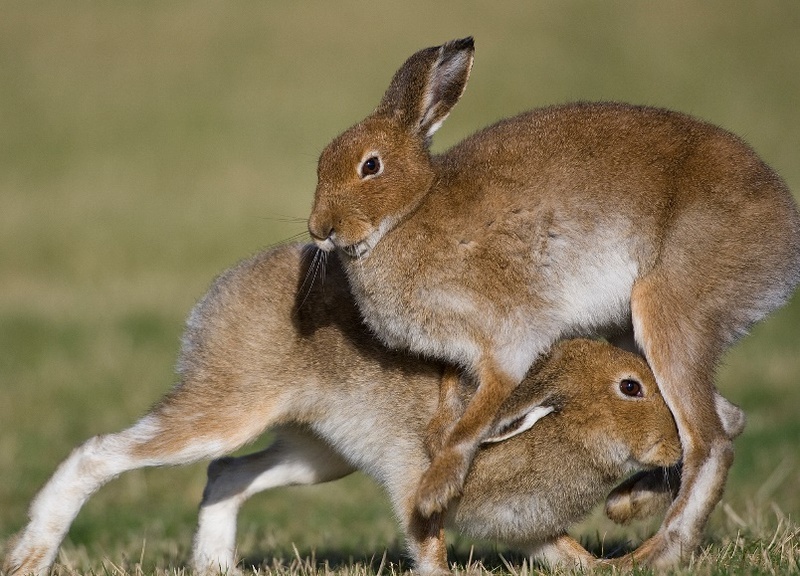 Now a newly published study suggests that lagomorphs will be particularly hard hit. Katie Leach and a team of researchers at Queen’s University Belfast, collated, reviewed and assessed all published literature on interspecific interactions in the order Lagomorpha, and compared the biogeography, macroecology, phylogeny and traits of species known to interact with those of species with no reported interactions, to investigate how projected future environmental change may affect interactions and potentially alter species’ distributions. 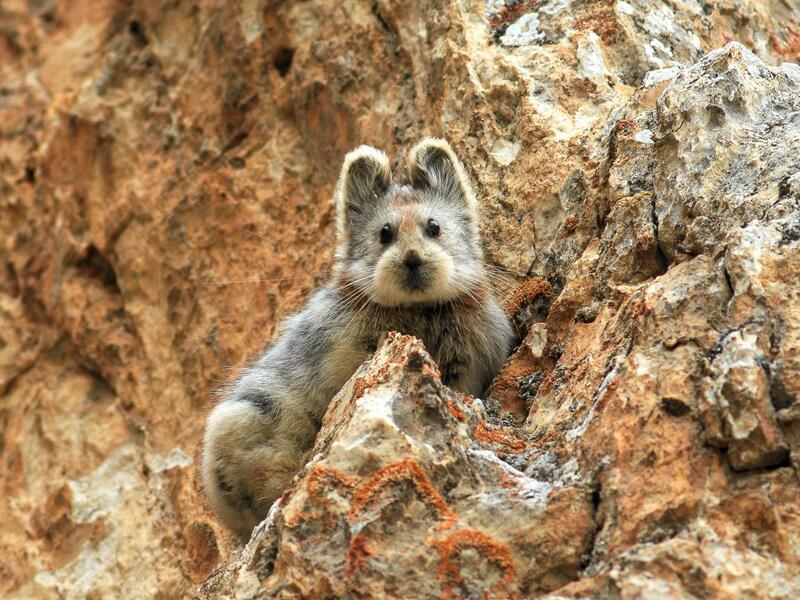 More than 20 years after its discovery, the rare Ili pika was spotted in the mountains of northwestern China. I write to request images of as many lagomorph species as we can gather – for eventual publication in the forthcoming Lagomorphs: The Pikas, Rabbits and Hares of the World (Johns Hopkins University Press). I am looking for high quality images – and I can only select one image to represent each species – so I will be looking for how well the image represents the species. Feel free to submit up to 3 images for selection – we may later use some of the others for posting on the web-page of the IUCN/SSC Lagomorph Specialist Group (but only after acquiring appropriate permissions). If you have a terrific habitat image, or an image that depicts a critical behavior or morphological feature – feel free to submit these as well. Read the below PDF for submission details. 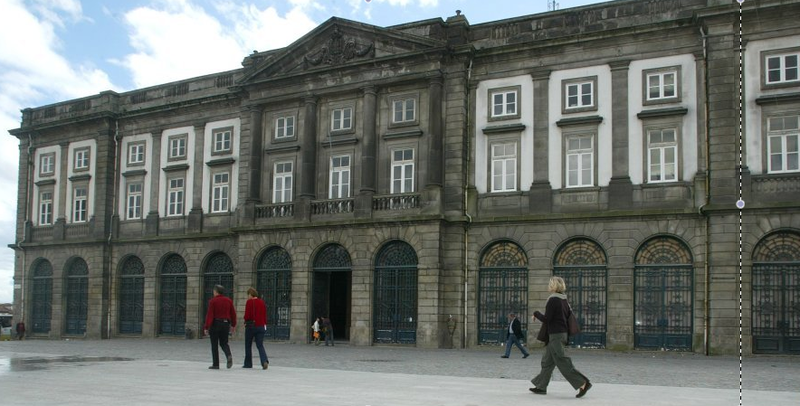 The Natural History Museum of the University of Porto, Porto, Portugal, is designing a new Science Center focusing entirely on Biodiversity: the Hall of Biodiversity. One module in the new exhibit will present visitors with a stylized but scientifically accurate phylogenetic tree highlighting lagomorphs - complete with full taxidermied mounts of representative lagomorphs. The organizers therefore request help in securing bodies of several species of rabbits, hares and pikas. Specifically they are looking to obtain a pika (Ochotona; any species); Sylvilagus (any species), Lepus timidus, L. americanus, and L. europaeus. For sure, if you had a complete specimen of another form, they would be willing to consider it. At the recent Society of Vertebrate Paleontology meeting in Berlin, Germany, Susumu Tomiya (Field Museum of Natural History, Chicago, IL USA) presented new research that shows that ecological competation between lagmoprhs and ungulates likely restricted the body size of lagomorphs over millions of years. Read below for press release and news coverage. The 3rd Conference of the North American Pika Consortium will be held April 16-17, 2015, in Golden, CO, at the American Mountaineering Center. The conference will highlight the diversity of research and monitoring being conducted on pikas of North America, and the advances being made in understanding their ecology and response to environmental changes. The International Council for Game and Wildlife Conservation (CIC) aims at supporting researchers whose projects contribute to the sustainable use of wildlife for the benefit of natural heritage conservation. With the CIC Young Opinion Research Award 2015 CIC wants to promote scientific research in accordance with the spirit of CIC's convictions. Such research may cover any or all of the three main pillars of sustainable wildlife management: economic, socio-cultural and/or ecological.The deadline for candidacies is October 31st 2014. More information avaialble on attached pdf. A new study in the journal Science explores the genomic changes associated with the domestication of the rabbit. The study reveals that while changes occurred throughout the genome of the rabbit, many genes associated with brain and neuronal develpoment were targeted during domestication. See below for the abstract, links to the article and a related discussion piece. 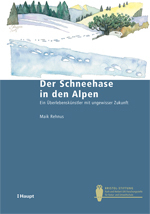 Annoucing a new book on the Mountain Hares (Lepus timidis) of the alps. The book is written in German by WLS member Maik Rehnus. See below for an English summary. The book can be purcahsed at this link. Born from a cooperative initiative of the European COST Action TD1101, “A Collaborative European Network on Rabbit Genome Biology – RGB-Net” 2011-2015, and of the World Lagomorph Society (WLS), the Lagomorph Genomics Consortium (LaGomiCs) is an international research framework whose final objective is the sequencing of the genome of all extant and select extinct lagomorph species over the next 5 years. in collaboration with the World Lagomorph Society. The most recent IMC highlighted current lagomorph research (abstracts in attached PDF), but also included the Irish Hare in their lovely logo. A wonderful video highlighting Snowshoe Hare research near Seeley Lake, Montana. Here is a new publication that should be of interest to almost every member of the World Lagomorph Society (WLS). The Biology and Identification of the Coccidia (Apicomplexa) of Rabbits of the World was published by Academic Press on June 14, 2013, and is available on Amazon.com. It is a taxonomic summation that evaluates the scientific and scholarly merit of virtually every paper published about Coccidia (Apicomplexa) from rabbits worldwide, thus providing a complete historical rendition of the known species. It is a guide to identification and treatment and is written in a style that can be understood by most educated lay persons and laboratory workers. It combines in 1 source, all the information that researchers, veterinarians, students, and others usually face in trying to find and navigate through this scattered literature. 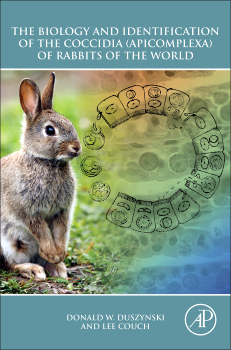 This book conceptually and historically summarizes the world's literature on apicomplexan parasites of rabbits and provides a quick guide to isolation procedures, identification, strategies for management, and available chemotherapy. Researchers in biology, parasitology, animal husbandry, rabbit raising, diseases of wild and domestic animals, faculty members in universities with graduate programs in these areas, colleges of veterinary medicine and agriculture, practicing veterinarians, farmers, students and other individuals involved in 4H should all be interested in this publication. A recent cover of PNAS features a radio-collored Snowshoe Hare. "The snowshoe hare is one of 10 mammal species worldwide that undergo seasonal changes in coat color that provide camou- flage in snow-covered terrain. The initiation dates of seasonal coat color change are influenced by photoperiod, and are unaffected by the presence of snow. L. Scott Mills et al. estimate that by the end of this century, the projected decline in the number of days with snow on the ground will substantially increase the exposure of white hares mismatched on a brown, snowless background." A new edited volume of Functional Ecology highlights several topics of interest to lagomorph reserachers. The open access articles can be accessed by clicking here. And lay summaries can be found by clicking here. Job Description: One Graduate Assistantship will be available to start in August 2013 to work on New England Cottontail (a Candidate for listing under the Endangered Species Act) and Eastern Cottontail interactions, demography, and habitat associations. Graduate research will focus on radio-telemetry and population genetics-based studies of dispersal, survival, recruitment, and habitat use of the two species. Successful applicant will teach for two fall semesters and be supported on a Graduate Research Assistantship for two spring semesters and two full years. The most qualified applicants will have strong wildlife field skills, experience using molecular techniques, and strong demonstrated skills in data analysis. Duties will include writing study plans, implementing cottontail trapping and telemetry surveys, habitat sampling, genetic sampling and analyses, supervising technicians and undergraduate assistants, and preparing reports and presentations for scientific audiences. Qualifications: Applicants must have a M.S. in Wildlife, Conservation Biology, Biology, or similar area. Experience with field studies, including trapping and handling, of small or medium-sized mammals and molecular techniques is highly desirable. Interested applicants should submit the following: letter of interest, names and contact information of three references, unofficial transcripts, GRE scores, and CV to: Dr. Jonathan Cohen or Dr. Sadie Ryan. Selected applicants will need to apply to the SUNY ESF Graduate School before acceptance. Application emails: jcohen14@esf.edu; sjryan@vt.edu Salary: Teaching assistantship for first two fall semesters, research assistantship (starting $20,000/yr) first two spring semesters and final two years, tuition waiver, health benefits Last Date to apply: March 10, 2012 Contact: Dr. Jonathan Cohen (jcohen14@esf.edu) and Dr. Sadie Ryan (sjryan@esf.edu). I am forwarding materials for the Chicago Zoological Society endangered species fund. I can only nominate one proposal per year, and if you have been declined there is a 2-year waiting period on re-submissions. And, applications are not being accepted for field research being conducted in the United States, Canada, Western Europe, European Union, Australia, New Zealand, Japan, S. Korea, Taiwan and Singapore. If you are interested, please contact me by 1 February and then I will get back to you (remember, if there is interest from more than one of you, I will have to make a choice!) – and early enough so that you have sufficient time to put together the full application. All biological fields are facing drastic redefinition and improvement of baseline knowledge derived from the tremendous amount of information coming from genomics technologies. The sequencing of complete genomes represents a prerequisite for full exploitation of the massive information generated by high throughput platforms and new approaches. Sequenced genomes will benefit zoology at all levels and several projects have been already started in this direction. Katie Leach (kleach01@qub.ac.uk) is a PhD student of mine at Queen's University Belfast who has just started a project examining the response of the Order Lagomorpha to climate change (proposal attached for your information). She will be constructing predictive models of change in the range of each species of Lagomorph under various climate change scenarios before further improving models by either including interspecific interactions or using focal case studies e.g. Arctic hares or Himalayan pikas. 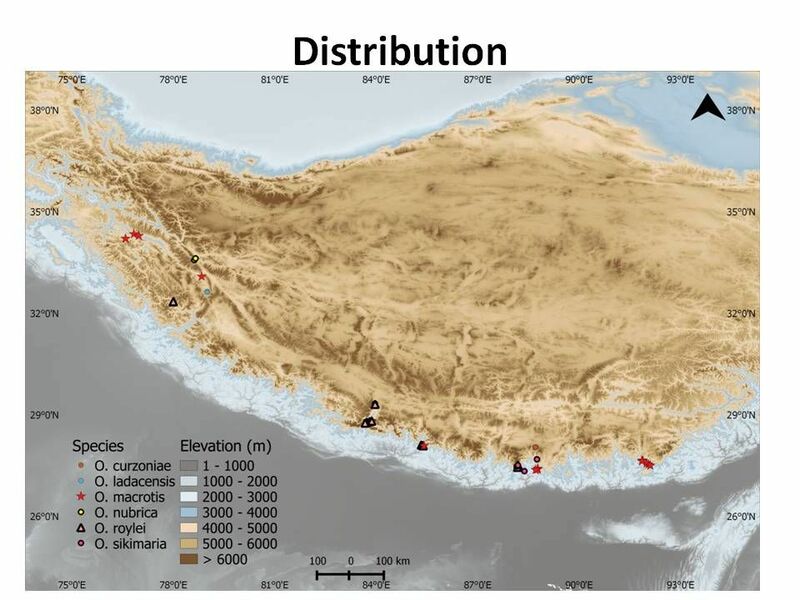 We have obtained the IUCN ranges for the species which are polygons but want to try and obtain as much raw data for specific records as possible. If you have any distributional data at all (records, digital maps, scanned hardcopy dot maps or whatever) for any species of Lagomorph that you are willing to share to ensure your species is adequately covered by our models I would ask that you contact Katie directly by e-mailing her anything that you feel might be useful. If you have any queries or questions about the research please do not hesitate to contact Katie directly. While also hosted at the 4th World Lagomorph Conference web page, we are posting here the photo gallery of the conference. See photos of scientific sessions, evening events, and conference excursions below. Enjoy! At the 4th World Lagomorph Conference the General Assembly of the World Lagomorph Society joyfully accepted the invitation of Patrick Kelly to held the 5th World Lagomorph Conference at the California State University in Stanislaus. The 4th World Lagomorph Conference jointly organized by the World Lagomorph Society and the IUCN Lagomorph Specialist Group was hosted by the University of Natural Resources and Life Sciences, Vienna (BOKU), the University of Veterinary Medicine Vienna, the Natural History Museum Vienna and the Austrian Academy of Sciences. It was the fourth time that lagomorph scientist from all over the world came together to exchange ideas and discuss current and future trends in numerous fields of lagomorph biology and management. We were happy to welcome more than 150 colleagues from 33 countries, covering all continents except the Antarctic. This conference offered three general sessions on “Ecology, Behaviour, and Management”, “Phylogeny, Palaentology, Systematics, and Morphology” as well as “Physiology, Diseases, and Animal Production”. The conference was enriched by our plenary speakers Charley Krebs (University of British Columbia, Canada) and Lorenzo Capucci (IZSLER, Brescia, Italy). Moreover, we hosted five workshops, meetings, and roundtables on “Rabbit Genome Biology”, “Molecular Systematics and Conservation Genetics”, “Taxonomy”, “Palaeontology” and “Evolution of reproductive strategies”. In sum, the 4th World Lagomorph Conference offered a broad spectrum of current research in this fascinating mammalian taxon. Two artists endowed the conference lobby with photos and paintings of hares, rabbits, and pikas. Andrej Lissovsky provided a photoshow of several lagomorph species during the coffee and lunch breaks. We are grateful to the organizing and scientific committee for their terrific work and we appreciate the support of the Hunting Organisation of Lower Austria, the International Council for the Conservation of Game and Hunting CIC, Swarovski Optik, and the City of Vienna. With their help we had the unique opportunity to delve into detailed and fruitful scientific exchange in the course of our social programme, namely the Welcome Party in the festival room at BOKU, an evening at a typical Viennese wine tavern (Heurigen), a Gala Dinner at the Nautilus Restaurant in Vienna’s Natural History Museum, as well as two optional post-conference excursions to the Nationalpark “Neusiedler See Seewinkel” or the Rax mountain in the Viennese Alps. The conference proceedings are ready to download at LagDocs. The 4th World Lagomorph Conference is coming! This conference brings together researchers on rabbits, hares and pikas from all continents, making it the most relevant meeting on Lagomorphs. Over 140 participants covering 28 countries have already registered in this 4th edition. All topics of lagomorph biology, management and history, will be covered either by presentations in general/topic sessions or in specific workshop and round tables. The general assembly of the World Lagomoprh Society and the meeting of the IUCN/SSC Lagomorph Specialist Group (LSG) will also take place at the 4th World Lagomorph Conference. See the provisional program at the conference website. We are looking forward to meeting you in Vienna, Austria in the heart of Europe! Project Description: This research assistantship is part of an NSF-funded project to examine functional relationships and tradeoffs among habitat components. The PhD student will be responsible for evaluating thermal and security aspects of the relationships between pygmy rabbits (specialists) and cottontail rabbits (generalists) and their habitats. Activities will include construction of thermal physical models, animal capture and collaring, telemetry, measurement of habitat components in the field, participation in studies with captive animals, quantitative modeling of habitat selection, use of GIS to synthesize habitat features, and mentoring of undergraduate students. This research is a collaborative effort that includes faculty, graduate and undergraduate students, and postdoctoral researchers from 3 universities (University of Idaho, Washington State University and Boise State University) and biologists and managers from collaborating agencies (Bureau of Land Management, Idaho Department of Fish & Game, US Forest Service). Requirements: Applicants must have an M.S. or equivalent degree in biology, ecology, wildlife, or a related field. Strong quantitative skills, field experience, and a positive attitude are required. A record of field-based research and communication of science (publications and presentations) also is required. The candidate must be strongly interested in working in a collaborative and interdisciplinary team. Review of applications will begin on 20 April 2012 and continue until a candidate is selected. Many species of Lagomorphs (hares, rabbits and pikas), particularly those withinthe same Genus (for example, Lepus) exist in mutually exclusive allopatry. Species ranges rarely overlap with sympatry tending to be a temporally transient phenomenon. Each species, in the absence of another, can inhabit the potential range of its closest geographical neighbours, but upon contact each usually retreats to its preferred optimum habitat. However, demonstrating ecological competition in the wild is notoriously difficult and is usually inferred using broad-scale biogeographical patterns of species occurrence. This 3 year studentship aims to examine the processes which contribute to the global distribution of Lagomorphs (all 92 species) including biogeography, ecology and interspecific interactions. Ecological niche modelling will be developed to include interspecific interactions and range edge effects. An additional element of this project will also examine the responses of the Order to climate change and their physical adaptations which contribute to their ecological niche separation. In particular there may be a focus on Arctic species and the likely impact of future land cover changes in the region. it is our pleasure to send you the 1st announcement of the 4th World Lagomorph Conference to be held from July 24 to July 27, 2012 in Vienna, Austria. This meeting, organized every 4 years on behalf of the World Lagomorph Society (www.worldlagomorphsociety.org) and in cooperation with the IUCN SSC Lagomorph Specialist Group (http://www.ualberta.ca/~dhik/lsg/INDEX.HTM), brings together researchers on rabbits, hares, and pikas from all continents. It provides a perfect opportunity to share up-to-date knowledge in the all fields of basic and applied science in this fascinating mammalian order. Please register at www.boku.ac.at/wlc4 and share this announcement with your colleagues. Did you know that there are more than 90 species of rabbits, hares, and pikas, rabbits' little-known cousins? And that new species are still being found? 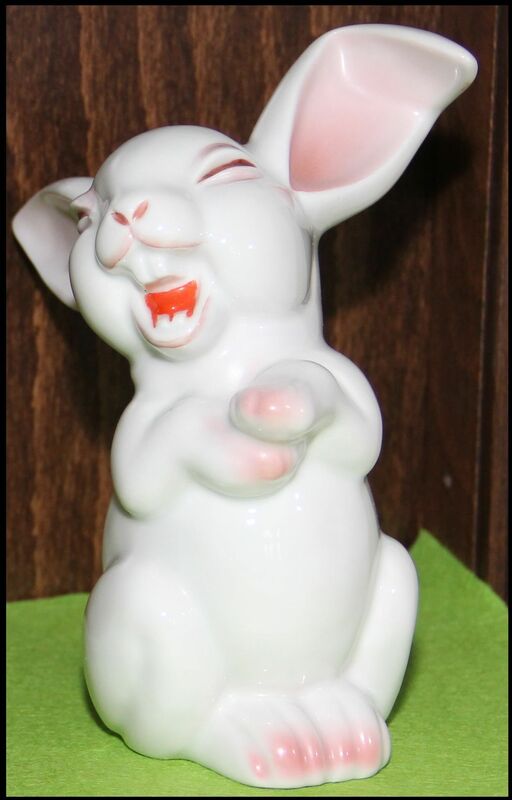 Or that baby rabbits nurse from their mothers only once a day? How about that some people brew medicinal tea from rabbit pellets? Wildlife conservationists Susan Lumpkin and John Seidensticker have all the answers—from the mundane to the unbelievable—about the world's leaping lagomorphs. (PhysOrg.com) -- On the small island of Minorca, a popular European tourist destination, researchers have unearthed an enormous fossil rabbit skeleton. A recent study published in the Journal of Vertebrate Paleontology highlights this new find off the coast of Spain. This massive rabbit, aptly named the Minorcan King of the Rabbits (Nuralagus rex), weighed in at 12 kg (26.4 lbs)! Approximately ten times the size of its extinct mainland cousin (Alilepus sp.) and six times the size of the living European rabbit, Oryctolagus cuniculus. A pair of hares play in the springtime in Italy’s Casentino Forest National Park. Lagomorphs. Hopping out of view? In spite of their reputation as prolific breeders, nearly one in four rabbits, hares and pikas - from the order known as lagomorphs - are classified as Threatened on the IUCN Red List of Threatened Species™. Lagomorphs are considered to be ‘keystone species’, as they have an effect on the environment that is disproportionate relative to their numbers. Year of the Rabbit – species hopping out of view? Celebrations begin on Thursday 3 February 2011 to mark the Chinese New Year and the start of the Year of the Rabbit. However, as we enter this new cycle in the Chinese zodiac, conservationists are warning that, in spite of their reputation as prolific breeders, nearly one in four rabbits, hares and pikas - from the order known as lagomorphs - are classified as Threatened on the IUCN Red List of Threatened Species. The 85th Annual Conference of the German Society of Mammalogy will be held in Luxembourg from 13th-17th September 2011. Main topics Main topics: Wildlife Biology and Mammal Conservation in Europe. The MNHN, INRA, CNRS, SFEPM, and the European Society of Mammalogy are very pleased to announce that the next meeting will be held in the heart of Paris in the Historical Botanical Garden. The aim of the conference will be to gather all forces of European Mammalogy and to update our knowledge in Taxonomy, Phylogeny, Evolution, Ecology, Biogeography, Conservation of Mammals. The Chicago Zoological Society administers the Chicago Board of Trade (CBOT) Endangered Species Fund, which supports conservation-oriented research. The grant attracts dozens of innovative research projects each quarter, and the most promising of these are awarded funding. The European rabbit, Oryctolagus cuniculus, originated in the Iberian peninsula and is the precursor of all domestic rabbits. Humans have been hunting and eating the European rabbit for over 120,000 years, but the rabbit was only domesticated in the year 600 AD. Given the huge success and interest aroused by the first edition of this conference, done in Montefiascone (Viterbo, ITALY) on 8-9 June 2007, after four years, it was decided to repeat this opportunity to meet and study, in view of cyclical event.